Published by R L Allan. Brevier Clarendon Edition of the King James Bible. rinted on lightweight India paper. New higher quality Vachetta calfskin binding (chocolate brown), semi yapp style with red under gold page edges. Has the same page layout as the "Oxford" Wide Margin Bible but with a standard margin. Page size 180mm x 120mm. Print face is 9pt in black . Two coloured ribbon markers( brown and gold). Pages are edged in gold. Includes 324 page "Cyclopedic Concordance " and 9 Oxford Bible maps with index. This Bible is for those used to the "Oxford" style Wide Margin Bible. 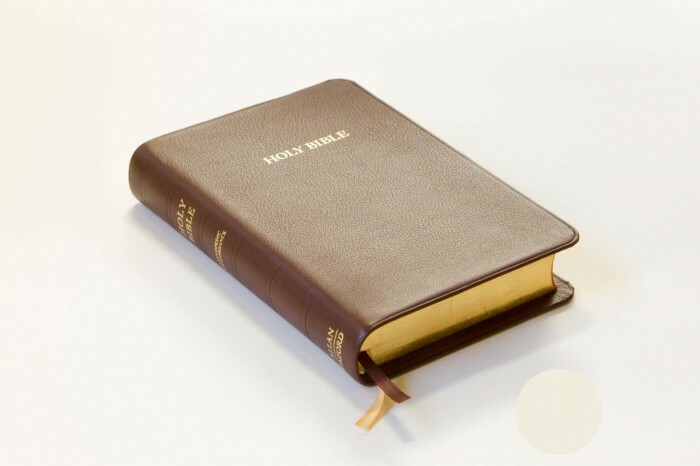 It is an convenient size for preaching and speaking or those those who find the weight of the wide margin Bible heavy for taking to meetings. 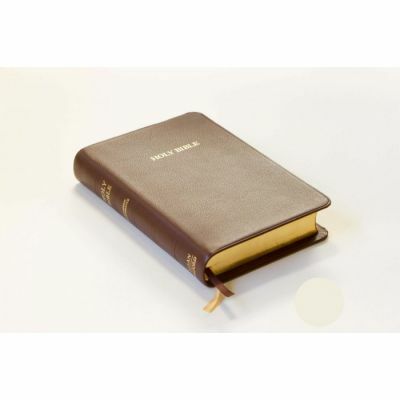 We are pleased to be able to offer this Bible at a significantly reduced price.